Frequently asked questions about the Be Happy in LIFE personal life coaching programs, including why we are your best choice, where it all happens, how long it takes, how much it costs, what happens if you don’t live in Brisbane and more. 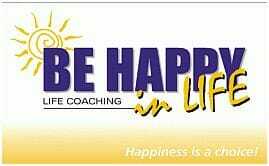 What’s special about the Be Happy in LIFE coaching program? Do I need to commit to a certain number of life coaching sessions? How many life coaching sessions do I need? How long is each life coaching sessions? How often will I meet my life coach? Aren’t you afraid that if clients become each other’s coaches, they will not use your services anymore? What is the price of the personal life coaching program? Yes. Be Happy in LIFE guarantees that if you follow your goals and action steps, open yourself fully to your coaching and dedicate enough time and effort, you will get great results from your life coaching. We use many effective ways to coach you towards that. Every session, you will learn a different technique and we will give you extra work to incorporate the new learning into your life. Yes. A life coaching agreement is a good way to help our clients feel that they will get a quality service, but also to get commitment from them, which is essential. The agreement sets out the terms and conditions for a successful delivery of the life coaching service and for achieving results. Be Happy in LIFE uses a simple but comprehensive agreement as a good foundation for your life coaching adventure. What is the difference between life coaching and counselling? Counselling is a past-focused discipline, in which the counsellor identifies the reasons for the person’s feelings and behaviours and offers ways to handle a particular issue. Unfortunately, this often gives the client a label, e.g. “I’m depressed”, which they use to justify their actions and thereby limit their ability to change. Some clients come to us after experiencing counselling when they get tired of having reasons and excuses and want to move forward. In life coaching, we do not dwell on the reasons, because we want to avoid this negative outcome. Instead, we focus on the future, because no matter what has happened in the past, any person can make it better and learn to achieve, grow and be happy. 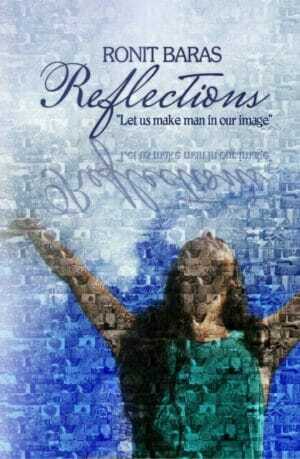 At Be Happy in LIFE, we believe that our internal world is reflected by the world around us. This means that we must first become who we want to be and the results will follow. We also believe that other people are key to our success and happiness in life. This means that if we learn to give others what they want, through strong relationships, they will give us what we want. In fact, they will go out of their way to make us successful and happy. We have done extensive research on communication styles, love languages, motivation and rapport building and added these powerful tools to our life coaching toolkit. Time and time again, we see how these tools help our clients come to terms with who they are (“I’m OK”), who they are dealing with (“You’re OK”) and how to relate effectively. They also learn to “store” positiveness and love during good times for “emotional winters”, when these reserves come in handy. Our life coaching program is holistic and long-term focused. We work with you to build your emotional intelligence and then teach you how to sustain and even enhance the positive changes in yourself and your environment. In a sense, you become your own life coach. This combination ensures your change and growth long after the life coaching is over. Guest article as a life coach and parenting expert in global glossy magazine. The Mean-ing of Life in Pathways to Family Wellness Magazine. 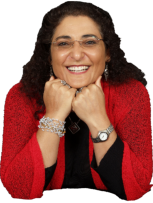 Ronit is an experienced and powerful presenter, delivering inspiring messages of motivation, happiness, love, respect, determination and success to the people who attend her workshops. In the last 4 years alone, she ran workshop, training days, was a keynote speaker and presented to over 57.000 people. Ronit has helped many people, young and old turbo-charge their lives, establish great relationships, find their purpose and discover the joys of a successful life. Her writing was published by educational magazines in Australia and around the world and her blog Family Matters is a great practical resource for parents and teachers, already containing over 1,000 articles on personal development, emotional intelligence, education, relationships, family life and parenting. This blog was launched in 2004 and attracts thousands of readers from around the world each month. No. In many life coaching arrangements, you will be asked to commit to 3, 5, 10 or more life coaching sessions and pay for them in advance. We believe that your commitment is essential to your success, but we are confident in our ability to give you tremendous value with our life coaching without advance payment. Commitment to an unknown journey defeats the purpose of our life coaching program, because it takes away control rather than giving it all to you. We want you to come to our life coaching sessions because you see the value, not because we hold the money you have paid in advance. In our life coaching agreement, you commit only to doing your best for yourself and paying for the sessions that you receive. You may stop at any stage. In fact, after 7-8 sessions, we prepare our clients for separation and ask them after every session if they still think they need to come. The life coaching program contains 25 modules that are matched to each client based on their needs. We recommend that you complete the first 4 sessions, by which time you will be well on your way to gain control over your life. On average, our clients have 10 sessions over the course of a year, but you can choose what suits you best. Our goal is to make sure your program is short so you do not create a dependency. The more you use therapists, the more inadequate you may feel, which is the opposite of what life coaching is all about (empowerment). The more quickly you reach your goal, the more successful we see ourselves and you have full control over the number of session you want to use. How long is each life coaching session? Life coaching sessions take about 90 minutes, but we ask that you allow for 2 hours. We do not believe in “one size fits all” and we will not stop the session because the time is up. If we are in the middle of something important, we will take the time to complete the session, even if that extends the time. Most of our coaching clients want to start seeing results quickly and we believe that gradual, steady improvement is much more permanent so we have scheduled he session to increase the gap. To help our clients stay motivated and incorporate their learning into their daily life, we have designed the program to increase the gaps between the sessions gradually. The gap between sessions 1 and 2 is about 2 weeks. The gap between sessions 3 and 4 is about 4 weeks. If you do the calculation you will find that it will require a whole year to complete 10 sessions. All clients, even those wanting to “speed” the process and meet every week end up extending the gaps between the sessions. We believe this is a healthy process and a sign of growth, independence and confidence and around session 4 we encourage our clients to take control over their growth and development and determine their desired gap. No, not everyone is the same and not everyone is 100% comfortable with increasing the gaps in between sessions, this is why the coach will be in email or phone contact with the clients to assess if the gap is healthy or too long. If things happen in between and you need to see your coach earlier, you will be able to contact your coach and re-schedule your session to suite your needs. In between sessions your life coach will provide ongoing support outside the sessions and encourage you to spend as much time as you feel comfortable exploring and integrating your new skills. You can live anywhere around the world and choose to receive your life coaching over Skype or email. No. We think that dependency contradicts self-control, empowerment and responsibility. We feel that we are successful when our clients have established a life coaching mentality and are masters of communication. Often, people around the client need help too and having a coaching mentality can help explain to those people how to support the client’s change. We are sure that difficulties and challenges will be part of your life and push you off course. Having the right tools, the right habits and the right mentality will help you coach yourself back on track. Some coaches believe we are giving away trade secrets, but we think everyone should know how to be happy in life. We offer a free personal development blog, coaching workshops, presentations, motivational speaking and books to share our knowledge with as many people as possible. If every life coaching client can help 5 more people, we can easily make the world a better place. We are not afraid, we are happy to welcome more people into the Be Happy in LIFE family, to help spread happiness, love, caring, acceptance and success in our world. Once you submit an inquiry, you will be emailed a link to our online self-assessment, where you will enter important information your coach needs to assess weather the program is suitable for you and how to approach it best. If you intend to come with your partner, make sure each of you fill in a separate form. Please check your contact details as these will be your first communication channels with your coach. Once your coach received the forms, you will be contacted within 3 business days by phone or email to schedule your first life coaching session. Each life coaching session costs AUD275 for one person and AUD297 for two. You will receive a tax invoice (receipt) at the end of every session. If your life coaching is related to your work or business, you may be able to deduct some or all of your life coaching costs from your taxes. Please consult your tax adviser about your particular circumstances. Choose to be happy right now. Complete the form below to find out more about life coaching and how it will work for you.